This floating ‘weed’ is a blessing for offshore anglers. It provides habitat and protection for prey species that lure in dorado, tripletail, ling and other target fish. Rio U.S. Olympic Sailing Team Roster Announced. Meet your 2016 Olympic Sailors. Results and photography from the Leukemia & Lymphoma Society event at Houston Yacht Club. experienced this you need to put it on you bucket list. I’ve witnessed this hundreds of times and my adrenaline still skyrockets every time. If you can cast a rod and reel, you can guarantee a redfish on the end of your line. Preferred boats: The Hobie Mirage Pro Angler 12 is favored because I can cover tons of water with half the effort thanks to the mirage drive. Also having your hands free increases your catch percentage on the water by being able to fire a bait at any fish that shows their location. Seconds can be the difference between you hooking up with a fish. my lures of choice have been Wedge tails in blk/chartreuse or chartreuse and Vudu Shrimp by Egret Baits. Last week, the big gulf shrimp hit the coast. Many people were taking advantage of this by cast netting on the beach front and loading up. The Hobie Mirage Outback also has all the advantages like the Pro Angler but is a lighter hull that allows you to load and unload by yourself. This boat paddles very well with minimal effort. and heavy storms postponed racing on day 2. By day 3, conditions improved enough for Lakewood Red to take the lead, losing only one of their races to hold on for the win. Dutch Byerly and winning teammates Zane Rogers, Paul Houston, Yumi Yosiyashu, and Michael Burns brought home the Venice Optimist International Cup, on loan from Italy. 9 Red snapper fishing is regulated by the state within the first 9 nautical miles from shore. That season is not closed and has regulations like trout, redfish and flounder. 60 Redfish are related to trout, but the two have completely different life spans. An adult trout is about 9 years old, where redfish can live to be 60 years old. “One of the best ways to fish long weed lines is to troll both sides.” August is in my opinion the best month for offshore fishing along the upper Texas Coast. Anglers able to make it 20 miles out should easily locate this fishing phenomena and the variety of fish in and around it. Chicken Dorado, as the smaller of the species of Dorado are called, attack small bait with a vengeance and fishermen focusing on weed lines and patches mop up on them. off of the Texas Gulf Coast encounter basically two types of seaweed concentrations. Weed Lines and Weed Patches. Weed Lines are, as the term suggests, long lines of seaweed clumped together along a tide line or water color change. The patches are big clumps ranging in size from a few square yards to several acres. One of the best ways to fish long weed lines is to troll both sides. However, often there is so much scattered seaweed along the edges that trolling can be frustrating as the lures keep getting clogged with the weed. Drift fishing is the other popular method for fishing around seaweed and is the method of choice if trolling is a problem. Once a strike takes place, it is a good idea to chum the area to keep the schools of fish nearby. Dorado in particular will continue to feed although others in the school are hooked and fighting for survival. Some of the largest ling I have caught have come from seaweed concentrations as there is another benefit that comes from the big concentrations and that is shade. Ling and Dorado love shade during the heat of the day and seaweed definitely offers that benefit. Just about any bait used otherwise for offshore fishing will be good for fishing the weed lines and patches. The idea is to keep the bait suspended anywhere from the surface to just a few feet below. One of the best ways to test an area is to toss some chopped bait into the water. If fish are nearby, they normally will come check it out and you can actually see your target. Fishing around seaweed offshore is one of my favorite types of fishing. If you have not tried it, chances are you will share my enthusiasm once you experience it. Snapper, especially, benefit from artificial reef structures. Visit http://tpwd.texas.gov/gis/ris/artificialreefs for an interactive map of artificial reefs off the Texas coast, their water depth and GPS location. alveston Bay doesn’t have a large amount of sea grass. Prior to 2008 we had very little at all, with the exception of Christmas Bay and three areas where grass had been planted by the Galveston Bay Foundation during the late 1990s. Galveston’s West Bay did historically have sea grasses, like much of the Texas coastline, but they had long since been wiped out. During the 1990s, when I moved to the Galveston area and started fishing, Christmas Bay was the only area where I could consistently find sea grass beds to fish. Though, there were years when certain coves in West Galveston would grow sea grass, it was primarily widgeon grass. It might grow well one year and then not be seen in the area for several years. Back then, I didn’t really realize why this grass was here some years and not others. I did however always know the benefit of the sea grasses and the incredible habitat that it provides for sea life. Galveston can be during spring with wind directions predominantly from the south or southeast. There are many days when 15-25 mile per hour winds are the norm. Stepping back and taking a look at the big picture, and remembering the three areas where grass was planted and thriving, add some powerful south winds and a seeding period in late spring, and the result is spotty grass growth This 27-inch along trout came from north shore a mix of widgeon and shoal grass. spoils. The first area that I remember seeing it was west of Karankawa cut. This long flat filled in with grass rather quickly while other areas took slightly longer to grow. Next was the stretch from Greens Cut to Karankawa Cut. Over the years since, this grass has spread and now covers nearly every inch of the West Bay spoils. grasses are more adept at growing during each of these types of years. Spartina grass (Spartina alterniflora) along our shorelines grow in both high and low salinity and don’t seem to be effected much by annual changes. Shoal grass (Halodule wrightii) grows well during higher salinity years and has some interesting characteristics. This species, native along nearly all of the Texas Coast, is a straight bladed grass with small fibers along its blades. These fibers do an amazing job of filtering small particulate matter from the water column. This is the grass that gives us very clear water by trapping suspended silt in the water column so common in the Galveston area. the water column nearly to the degree that shoal grass will. Widgeon grass will definitely grow much thicker and provide a great habitat for both prey and predator, but will not give us the clarity of water that shoal grass provides. For those who have been fishing the grassy areas over the past few years, you are quite aware that 2015 and now 2016 have not been great water quality years. The underlying case has been low salinity. Though we do have some areas with shoal grass, for the most part the bay floor has been taken over by widgeon grass and will stay that way until late summer when salinities are higher. Unfortunately, this is in my experience typically too late for the shoal grass to recover and grow as the early season growth of the widgeon will choke out and prevent photosynthesis. One last note about sea grasses and Galveston Bay, and well the entire Texas Coast for that matter. Donâ&#x20AC;&#x2122;t quote me on the exact timing, but two-to-three years ago, Texas Parks and Wildlife department passed a law prohibiting the intentional destruction of sea grasses. These grasses are a valuable and limited part of the overall habitat, providing cover structure for numerous animals both predatory and prey. This resource can be damaged and frequently is by boaters either unaware or not concerned. Given the rate of growth and expansion of the areas with sea grasses over the past ten years, we can only hope to see a continuation of this trend. With some cautious stewardship from all who operate boats in these areas, this may be a trend that continues and provides excellent habitat and fishing for many years to come. The USA Olympic Sailing Team. Good luck patriots!! 49er (Men’s Two-Person High Performance Skiff): Thomas Barrows (St. Thomas, U.S.V.I.) and teammate Joe Morris (Annapolis, Md.) – For Barrows, this will be a second shot at the Olympic podium, having represented the U.S. Virgin Islands in the Laser class in 2008. Five-time U.S. National Champion and college sailing standout Morris will compete at his first career Olympics. Finn (Men’s One-Person Heavyweight Dinghy): Caleb Paine (San Diego, Calif.) – Paine, a Sailing World Cup Series Champion, has been the top-ranked American Finn sailor since 2012, and will compete in his first career Olympics. Laser (Men’s OnePerson Dinghy): Charlie Buckingham (Newport Beach, Calif.) – The Laser North American Champion, Two-Time College Sailor of the Year and Toronto 2015 Pan American Games representative will sail at his first career Olympic Games. Men’s RS:X (Men’s Board): Pedro Pascual (Miami, Fla.) – Pascual won the RS:ONE European Championship before making gold fleet at the 2016 RS:X Worlds, and will sail in his first career Olympics. Women’s 470 (Women’s Two-Person Dinghy): Annie Haeger (East Troy, Wisc.) and Briana Provancha (San Diego, Calif.) – Winners of the 2015 Olympic Test Event in Rio de Janeiro, Brazil, 2015 US Sailing Rolex Yachtswoman of the Year Haeger and Youth World Champion Provancha will make their first career Olympic Games appearances. 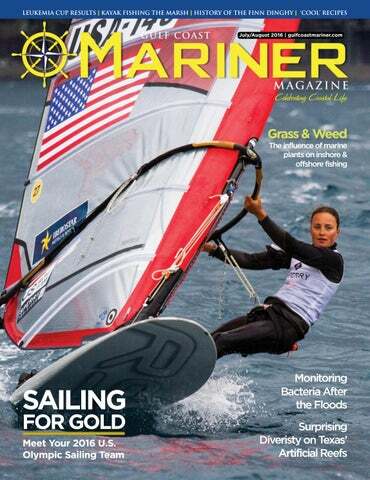 Rolex World Sailor of the Year, three-time Pan American Games medalist and US Sailing Rolex Yachtswoman of the Year. Women’s RS:X (Women’s Board): Marion Lepert (Belmont, Calif.) – Rio 2016 will be the first career Olympic Games for the Toronto 2015 Pan American Games bronze medalist, who also made the podium at the 2015 RS:X U21 European Championship and won the medal race at the top-level 2016 Trofeo Princesa Sofia regatta in Palma, Spain. Funds raised support The Leukemia & Lymphoma Society’s mission: to cure leukemia, lymphoma, Hodgkin’s disease and myeloma, and improve the quality of life of patients and their families. US Sailing Team Sperry Sailor Caleb Paine races a modern Finn. he Finn Dinghy was designed by Swedish canoe designer Richard Sarby in 1949 for the 1952 Summer Olympics in Helsinki Sweden. Since 1952 the boat has been in every Summer Olympics, making it the longest serving dinghy in the Olympic Regatta. In the beginning the hulls were made of wood and the sails were made of cotton. Today the masts are carbon fiber, the hulls are fiberglass and the sails are commonly made of various laminates such as technora, polyester, and Kevlar. If you think youâ&#x20AC;&#x2122;re in pretty good shape, go out and sail a Finn in heavy air and then call me and tell me what you think. Current S pecifications Crew LOA LWL Beam Draft Hull weight Mast height Mainsail area D-PN RYA PN A classic wooden Finn Dinghy. is the soul of US Sailing. He has that unique ability to break down complicated sailing rules into a language that the rest of us can understand. Dave is busy these days and hard to pin down but he was kind enough to answer a few questions on the sport of competitive sailing, we hope you like them. hen it’s hot outside, cool food options sound very appealing to everyone; especially the chef. Many fruits are in season, fresh and local, and creative ideas abound. From watermelon pizzas to main dish chicken and fruit salads, the colorful presentations are a visual delight. The ingredients in the following recipes can be prepared ahead, measured and stored in baggies until meal prep time. Another heat inspired practice is to stay well hydrated. Water is much more fun when you add sliced fruit, veggies, and/or herbs. You can use bottled water, tap water or sparkling water, depending on your preference. Ice is optional. Here are some favorites: •	lemon slices with fresh basil leaves •	strawberry slices with fresh mint leaves •	cucumber slices with squeeze of lime juice •	grapes (red, green, etc., sliced) •	orange slices •	grapefruit slices •	raspberries. Try adding a sprinkle of dried herbs/spices, whole fresh herbs, or even muddle the fresh herbs to make their flavor more pungent. Blend the waters fresh before use or make ahead in jars or pitchers to enhance the flavors. Sprinkle the arugula, feta, and walnuts evenly over the watermelon slice. Drizzle with the honey and then the walnut oil. Slice into pizza wedges for serving. Drizzle the honey over watermelon, then layer the rest of fruit pieces in order. Slice into pizza wedges for serving. Combine first 6 ingredients in a bowl. Combine mayonnaise and next 3 ingredients; spoon over chicken mixture and toss gently. Cover and chill at least 4 hours. Serve salad over spring greens or sliced cantaloupe wedges. David Bulliner, GBF’s Volunteer Lab Assistant, processes a sample to measure the bacteria concentration present. How you can reduce runoff in our waterways: Join GBF’s Water Quality Monitoring Team Be informed about water quality issues in your area. To learn more about the water quality or to help protect the water quality in Galveston Bay, visit www.galvbay.org/ watermonitors. Pump Don’t Dump If you have a head on board your boat, make sure that you and your fellow boaters pump out your sewage instead of dumping it into the water. Visit www.pumpdontdump. org to learn more and find the nearest pump-out station. Report Pollution Report any pollution you see to the Galveston Bay Action Network, an online pollution reporting service provided by the Galveston Bay Foundation. Reports are automatically sent to the proper authority for clean-up. 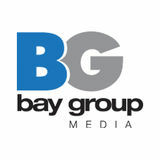 Visit www.galvbay. org/GBAN to report pollution. Cease the Grease Be wary of what you put down the drain. Cooking fats, oils and grease can clog pipes and cause sanitary sewer overflows. Instead, recycle or throw out your cooking grease. Visit www. ceasethegrease.net to learn more. Water-Conscious Landscaping Install a Rain Barrel, plant with native plants, and create your very own rain garden. Rain barrels can be placed at downspouts or downpours from the roof in order to reduce runoff and flooding, help conserve freshwater and reduce pollution from reaching Galveston Bay. Visit www. galvbay.org/rainbarrel for more information.